Jimmy, thank you! You are truly the best real estate agent and we will recommend you to all our friends. If we decide on selling another property, you will be the first to know. Once again, we thank you! 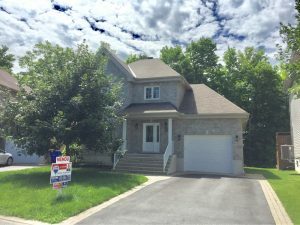 We thank you Jimmy Arseneault for all your support in selling my home in Gatineau. What I appreciated most about your approach is your professionalism, your openness, your humanity, your availability and extraordinary way to manage your stress. You took the time to answer all of my questions and guided me in my decision-making. I have to admit, no wonder you are THE BEST REAL ESTATE BROKER IN QUEBEC. What a beautiful experience on my end, and not just this once, but for all my 3 purchases / sales. In addition to all your real estate advice-giving / free coaching that came from the heart for the sole purpose of helping us make an informed decision. I know people who lived through horror stories with their real estate agent and other agencies while selling their home. In all sincerity, Jimmy offered us from his heart appliances while we were in hardship on our first sale. Yes, not only a qualified expert, but a generous person with a big heart. Congratulations Jimmy and keep up the great work! It’s not always easy to sell your home and it’s rarely a pleasant experience. There are so many emotions attached to this transaction. From the first day we listed our property, Jimmy not only found 3 potential buyers, but after only three visits, I received three purchase offers, offering more than the asking price! In less than 24 hours, I had signed offer! Impressive for sure, but in the end result, it was much harder then I imagined and that’s where Jimmy really impressed me. His dedication was sincere in wanting to help me through these difficult times during the transaction. I think Jimmy is not only the number 1 because he sells the most homes. He number 1 because he works the hardest to sell your home. Through his eyes, you are the number 1! Thank you very much Jimmy!! Nice job!! Thank you very much Jimmy, I certainly don’t regret putting my trust in you. Thank you for your support and impeccable service. I understand now why you’re number one. Thanks Jimmy for your professionalism. You are passionate about your work and that’s why you’re the NUMBER 1. Keep up the good work. The best advertising is word of mouth and it’s already started on my end and this will continue.